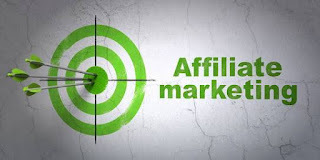 How To Make Money With Affiliate Marketing | Blog About Tips And Tutorials. When I started blogging , I never planned on making money with my blog (making money with your blog is called monetizing). Then I started learning about affiliate marketing and how easy it was to monetize a blog. Few months after starting my blog when I first focused on monetizing it, I made some $$ in my first month. I share that with you because there is plenty of opportunities for new bloggers to make money as affliate. The thing that gets me is if I had known then what I know now (and what I will share with you), I could have made money with my blog much sooner. I’ve never had a serious blog like I do now. And I’m just getting started. That’s proof new bloggers are still making money. I’ve met bloggers that made $50,000 – $100,000 in their first year! It’s crazy, and it’s possible. A new window will open up and take you right to Amazon.com where you can buy the book. If you bought that book, I would earn an affiliate commission from Amazon. Let’s call it $0.50. If you’re over at Amazon, you might decide today is the day you’re going to spring for that new T.V. that costs $400. If you buy it, I get an affiliate commission on that too. We’ll call it $25 because I sent Amazon the referral. And the best part is the links on your blog may be around for years. You can end up earning money from an affiliate link for something you wrote about three years ago. That’s the great thing about passive income – it just keeps coming. 1. Sign up for free to Amazon’s affiliate program. 2. Write a blog post about some product you like and include an affiliate link to it in your post.